Ammon Heisler Sachs Architects (AHSa) | It's Your Vision, Let Us Design It. Focused on expertise in architecture, planning and interiors, Baltimore-based AMMON HEISLER SACHS architects approaches each project from the client’s perspective. Our staff is inspired by the client’s vision and create the design using technical innovation and an understanding of each client’s market. AHSa worked directly with bank representatives to design the flagship, prototype retail space to incorporate the AFCU’s brand identity. 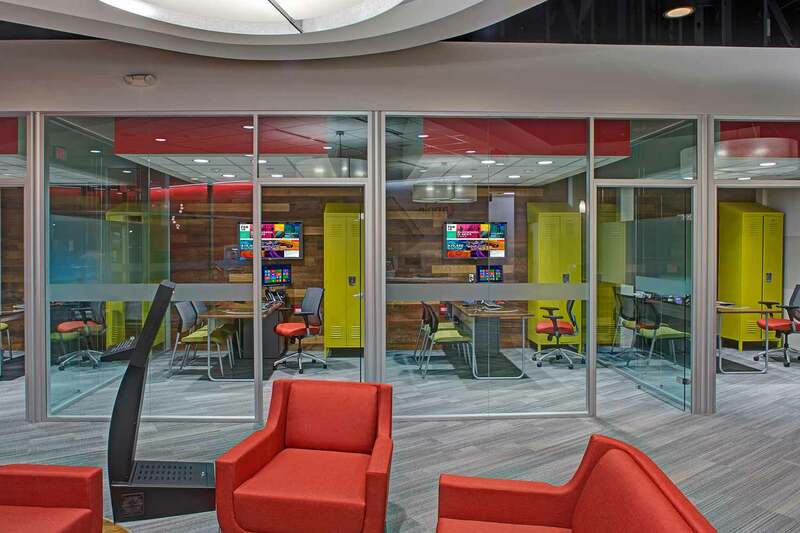 The teacher’s credit union features bright colors, cabinetry inspired by lockers, integrated with state-of-the-art technology. See full project. 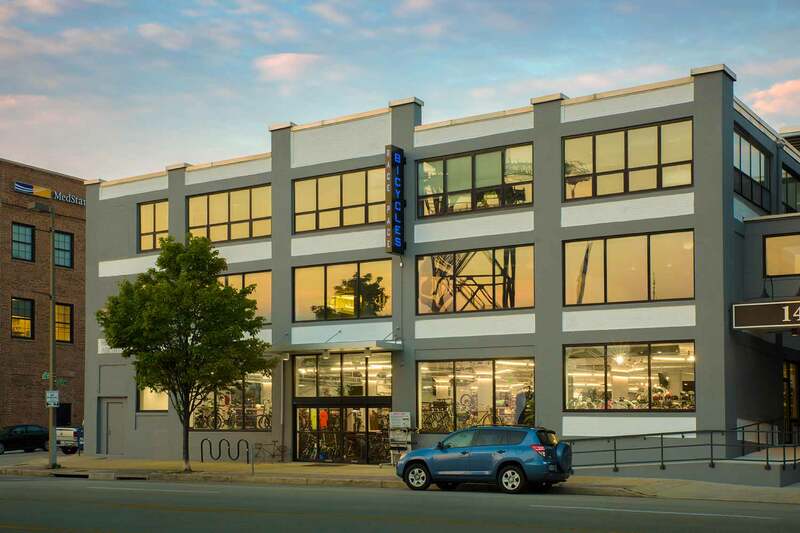 Race Pace has been a pillar in the Baltimore cycling community since 1978, and for this fit-out they contracted AHSa to transform their 13,000 SF piece of the historic factory into a cycling mecca. See full project. 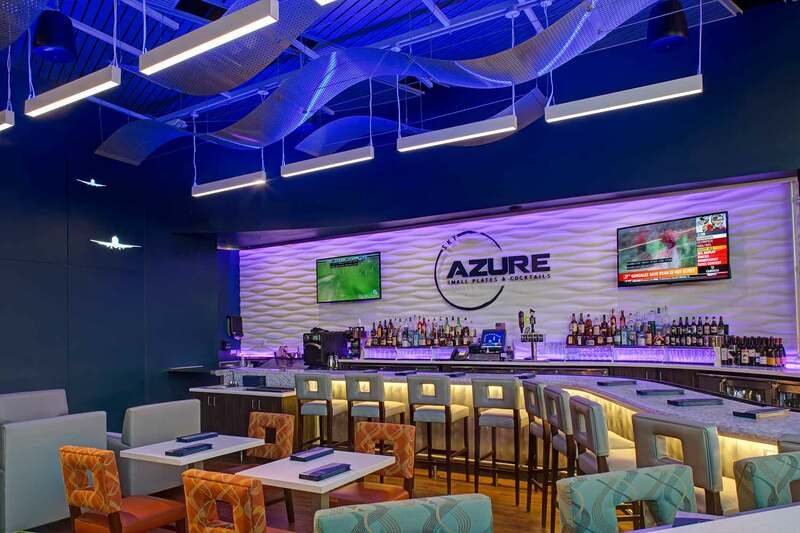 During construction of the new B­C Connector at BWI Thurgood Marshall Airport, the Maryland Aviation Administration (MAA) developed a plan to revitalize the dated observation Gallery through renovation and the addition of an upscale bar. See full project. 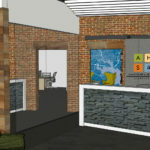 Maritime civil engineering firm Moffatt & Nichol selected AHSa to design their new waterfront office space with an open plan to maximize the waterfront views. To achieve this vision, AHSa designed glass fronts for all private offices to maintain views to the exterior throughout the 9,000 SF space. See full project. The talented designers at AHSa create comprehensive design solutions for projects throughout the Mid-Atlantic and across the United States. Our culture of service is supported by our desire to make a meaningful social impact to our community through volunteering, donations, and participation in community and non-profit organizations. 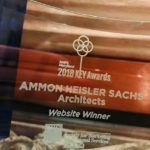 I’ve had the pleasure to work with the team at Ammon Heisler Sachs for over 8 years, 8 different projects and 2 different companies. Each project was unique, had different program requirements and budgets but I always felt that AHSa listened to our needs first, adapted to the project and kept us focused on what was most important. I highly recommend their services to anyone. Often times, architects are celebrated for their intangible vision, and then for the tactile product of that vision. 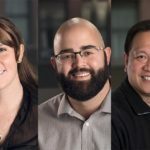 While I do the same for AHSa, I readily expand on that and acknowledge their core values, which are cultivated by talented employees, ethical business practices and a trustworthy reputation. At AHSa I have had the opportunity to partner with individuals who nurture the relationships and practices necessary to develop the bank’s vision from concept to reality. This project also couldn’t have been completed without the expert help from J & J Construction (Sean Christensen) and Ammon Heisler Sachs Architects (Hal Sachs). When I walk into SOCK IT TO YOU, I have a smile on my face with pride and accomplishment. I had the vision, but Sean, Hal, and Alex made my dream come true. They are top notch companies that truly have their clients and the AirMall’s best interest at heart. 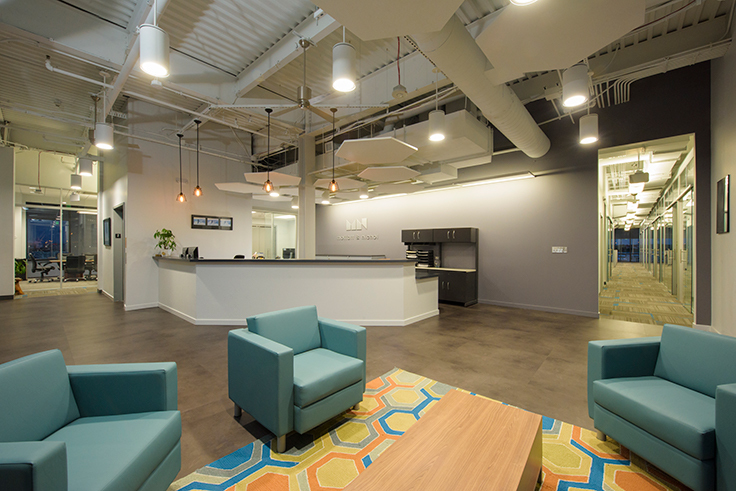 The Ammon Heisler Sachs architects’ redesign of our Stafford Branch has been one of our biggest successes in branch operations in the past 10 years. A year after the new branch opened, we have seen a significant (40%) and sustained increase in loan production while transactions increased around 6% – meaning we are now getting greater sales from our transactional members. Member satisfaction has improved 25%, going from a Net Promoter Score of 68.6 to 85.6. And most important, employee teamwork and morale has greatly improved. Our employees are proud and happy to work every day in such a beautiful environment. I can’t thank you guys enough for your unrelenting work, help and psychiatric counseling in getting me through this project! Using a client-centered approach, AHSa focuses on what makes each client and each project unique to realize its vision in our designs. Our goal is to move beyond the first project to become a trusted partner with our clients, providing value and expertise to help them grow, evolve and move into the future. AMMON HEISLER SACHS architects, P.C.